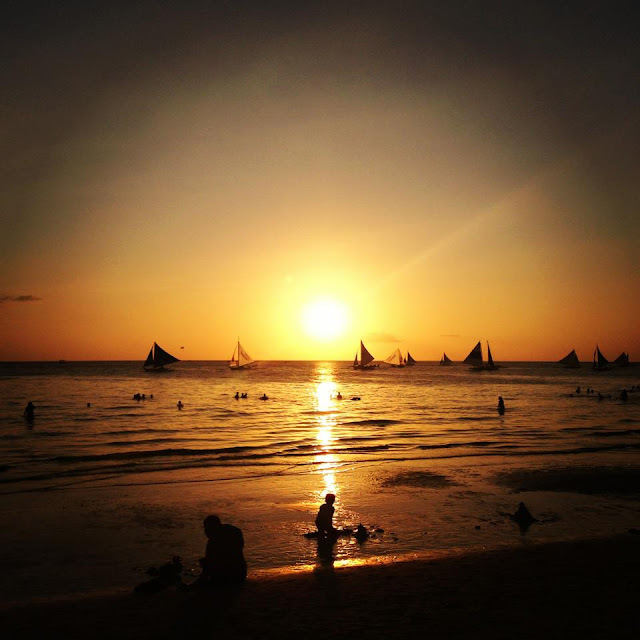 How many times have you been to Boracay in your entire life? 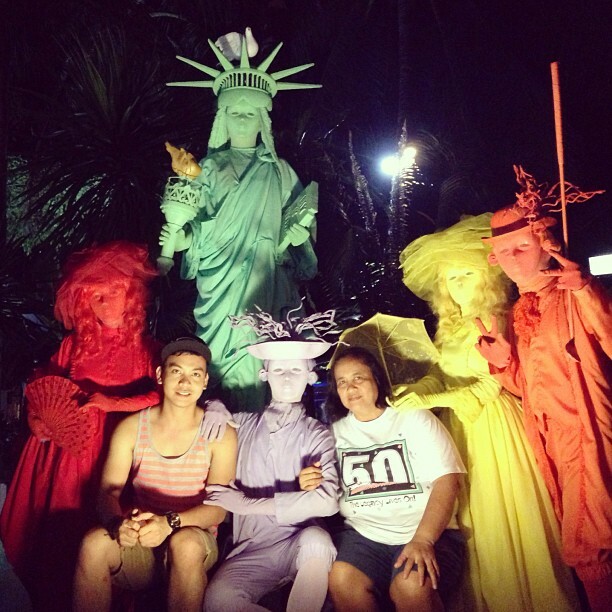 Well, let me share with you the latest TOP 10 MUST-TRY in Boracay this year 2013. After this blog post, I bet you will plan to visit this island ASAP. 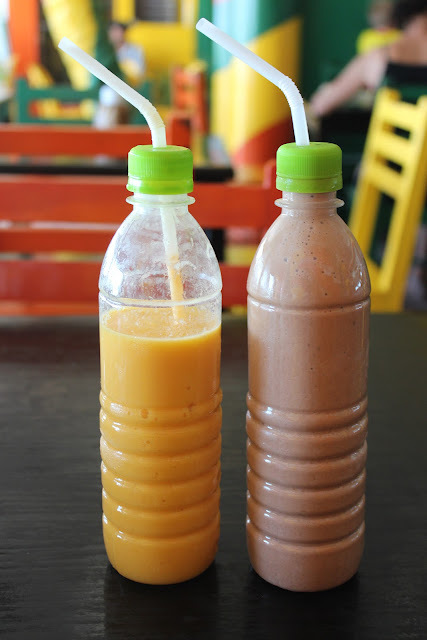 Since my 1st visit in Boracay, the best fruit shake up to present is still Jonah's banana choco & mango milk shake selling now for Php 95-110. Quite surprised of their new spacious outlet at the beachfront & its open now 24 hours. Still the best refreshment to beat the summer heat! With all the wide arrays of seafood & mongolian grill buffet you can experience in Boracay, any meal will not be complete without any dessert. So let me recommend Cafe del Sol's delish cheesecakes in different flavors & satisfying taste. 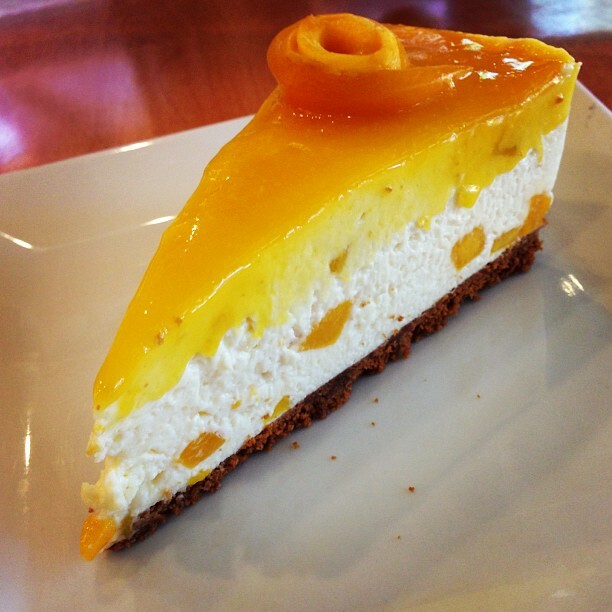 You can't say no to their Mango Cheesecake (Php 160) which I can confidently say the best cheesecake in the island. 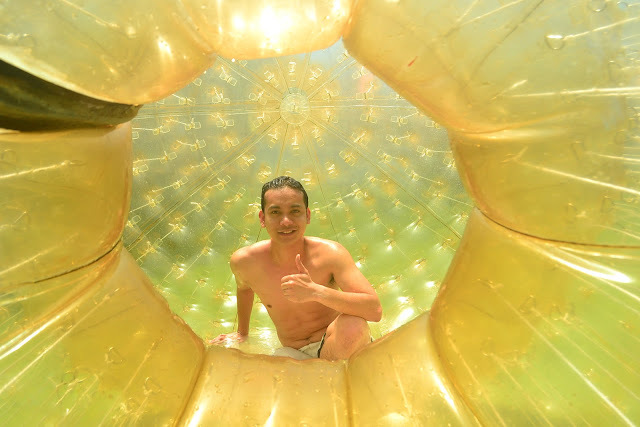 Zorb had been introduced & popularized in Boracay for quite sometime now but for a first-timer like me, this is a sure must-try. I tried the newest Hydro Zorb (Php 300-400) instead of the Harnes Zorb as it is a less torture option. "Ride the ZORB" is a good option as it includes transfer ride, good package deal & friendly staff for a total thrill-fun-memorable experience. 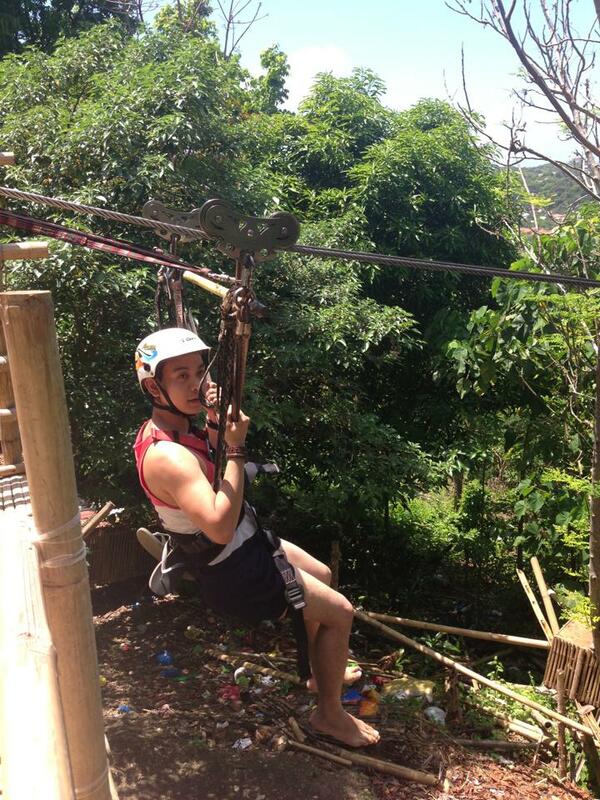 One big check for my 2013 Bucketlist was my 1st experience of trying zipline in Boracay. You will never regret this Mt. Luho Zipline (Php 400) which is the highest peak in the island 369 feet above sea level. This Boracay adventure has 3 stations zipline with a panoramic view of the whole island that you surely don't wanna miss. If you're not a fun of water sports adventure (banana boat,parasailing,helmet diving) then ATV/Buggy Ride is the best land adventure for you to try. You can rent it for (Php 400/head) for an hour of tour/adventure. You will have a tour guide to follow throughout the ride and you can have stopovers in Mt. Luho Viewpoint & Butterfly Garden (optional). But make sure that your ride is in good condition, wear helmet at all times, & don't forget to stay safe, have fun & enjoy the view. One of the best sunset experience will be in the island of Boracay. It is best to go at the beachfront around 5PM with your sunnies,sun cream,ipod & a good book. Wait as people will start coming out of hotel rooms & everyone will watch as the mighty sun set clearly in the horizon. It is best to try Paraw Sunset Cruising (Php 150/head) or Sunset Happy Hour with friends/family that starts at around 5PM. 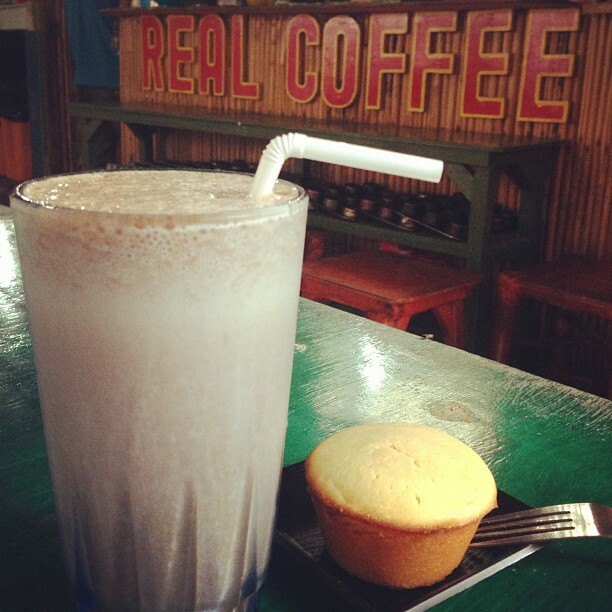 Real Coffee & Tea Cafe is home to the most famous Calamansi muffin (Php 45) in the island. Located in Station 1, they have a Nipa-hut setting that offers continental breakfast (opens at 7:30AM). Their omelletes/sandwiches are a bit pricey but worth it in terms of its taste. Try their Chicken/ Tuna sandwich or pair the muffin with their Boracay Buzz (Php 160). With all the activities to do in Boracay, the best way to end a great island experience is to have a great dinner along the beachfront with all the buffet dinners available to choose from. 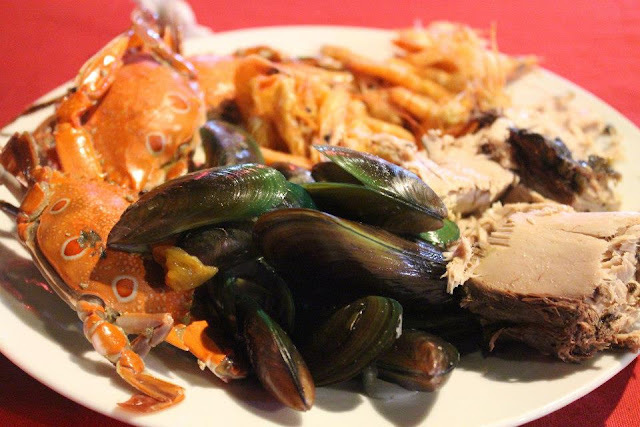 Ranging from Php 250-400/ head, anyone can enjoy eat-all-you-can seafood, mongolian or western dinner offers that will surely make you in a happy-tummy night. 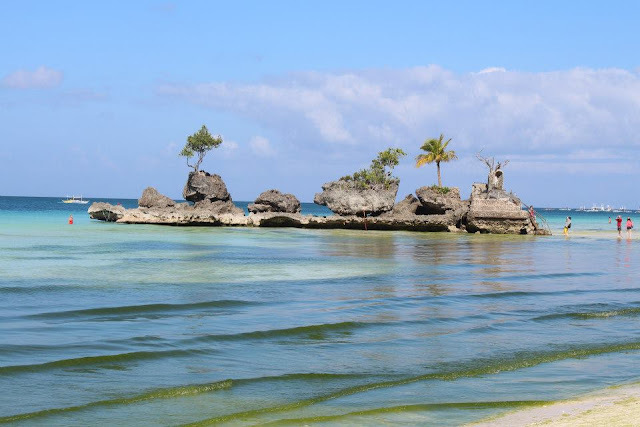 It is best to take a tour along the white sand beach of Boracay early in the morning from Station 1 to Station 3 until you reach this popular landmark of the island which is a big rock that has a grotto with a Virgin Mary (Our Lady of Lourdes) image. The best place for buying pasalubong & souvenirs for family/friends. This place is also great for some souvenir photo taking, wall climbing & summer outfit shopping with various restaurants for the whole family or barkada to satisfy their appetite. Hope this blog post will be helpful on your next plan of visit to Boracay Island. Watch out for my future comprehensive blog post of my summer escapade in this island. Travel more everyone! Try island hoping, and cliff diving at the boracay beach! It's very exciting! Also don't forget to party at night and meet new friends! 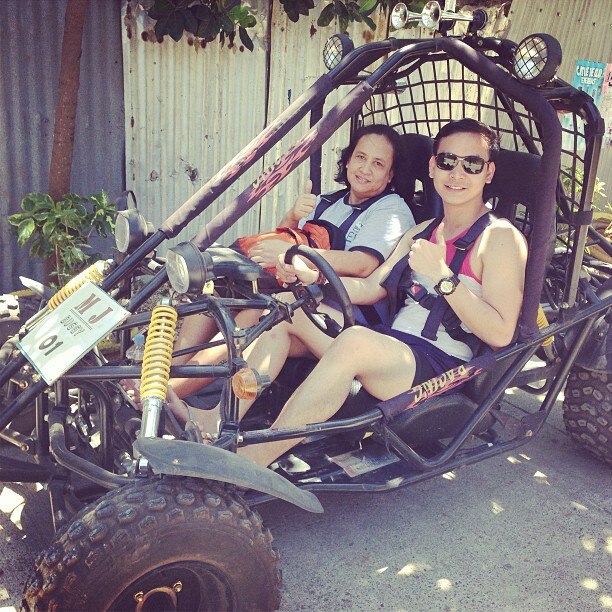 One of the most exciting to do their in Boracay is to try all the good foods and then the ATV car. I'm so excited to go there! Thanks for sharing this to us.. I love it and I'd love to try Zorb..waaaah! I'm so excited! PubCrawl is a must try too! Best activity to meet new friends and have fun. Jonah's Milkshake...err I miss that. After reading your posts, I feel like going to Boracay now.